Now at less than 0.40 euros per image! Original photographs that will not date! Slash design costs - with your own photo library! An inspiring and timeless collection of 100 copyright-free, innovative, and original photographs on a PhotoCD. Manipulate and publish direct from this disc; from gems to sliced fruit, broken old pocket watches, liquorice allsorts, and rare salmon fishing flies to name just a few. Includes a printed catalogue and other unique features. Will sell direct to you for well under the retail price! Just click on 'Photobackings 100' below. To John Neville Cohen's dedicated site for Painting with Light Limited edition (only 8 of each) picture, fine art prints for sale. (Author John Neville Cohen) Invaluable help for collectors of Asian antiques. How to buy and avoid the most common mistakes, when buying antiques, particularly netsuke, inro, snuff bottles and jade. Asian antiques (645 colour photos of fine Japanese and Chinese antique; netsuke, inro, ojime, snuff bottles, pendants & jade carvings) all fully described by renowned experts Neil K. Davey + Robert Hall. An essential reference work for the serious collector that is beautiful and very easy to use. Information on our family business created by my Grandfather Joseph Cohen. (Author John Neville Cohen) Very informative about the rare Jensen 541S & CV8 sports cars, particularly about the little known superb Jensen 541S manual drive, a classic car with lots of photos. These are very low cost 18MB photographs that will not date! (Author John Neville Cohen) Amazing to see what can be done in pure photography without any expensive equipment, computer, or darkroom. All is achieved with a projector - the magical 'Magic Lantern'. All details of this extraordinary technique is clearly explained and all for free! Fascinating photographic exhibition of 'The Magic Lantern' award winning 'special effect' photographs by John Neville Cohen. Outstanding 3 double bedroom apartment, all on one level, for sale at La Alcazaba, Puerto Banus, Marbella, Spain. Opportunities, Property items for Sale. Professional photography and graphic design by Actuality photodigital. See all the pages and paintings for a unique way of collecting stamps. Shows the first sketches and paintings and an amusing letter. The not so distant famous relatives of the Bind side of John's family. 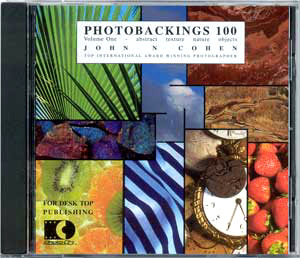 Royalty Free, Photobackings 100, Copyright Free, stock photographs, John Neville Cohen, Actuality photoDigital, original, image, library, photo, background, pictures, photographs, 18MB.